Tires are significant parts of cars and. Therefore, your choice of tire determines your yearly running costs over large mileages. It also determines the safety and comfort of your ride. Therefore, just like purchasing new property is usually all about location, shopping for new tires is about safety since these are the only things that separate your car and you from the road surface. This company has been one of the top tire manufacturers all over the world, owning Firestone and other lesser economy brands. 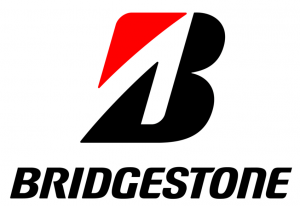 Regardless of their expensive nature, Bridgestone provides value for the money through outstanding dry grip tires that are broadly available via most of the national and regional retail chains as well as online retailers. Bridgestone is also providing wet grip tires suitable for motorsports in rainy weather. For example, their manufactures wet tires for F1 races that offer excellent performances at high speeds of up to 150mph. 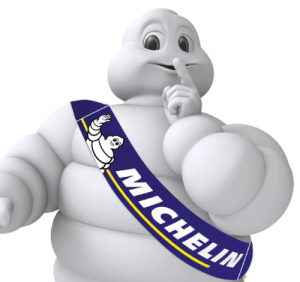 A great competitor to Bridgestone, Michelin holds a high international position regarding tire sales. Their tires are highly priced just as Bridgestone’s, Michelin is the owner of BF Goodrich brand and other economic brands that include Riken. This company provides well-performing dry grip tires that offer amazing handling. Alongside the excellent dry grips are brilliant wet grip tires, usually highly commented by drivers and racers for their remarkable efficiency on the road. Though at par with Bridgestone and Michelin, Goodyear stands out as one of the largest tire manufacturers in the world. It is the owner of the famous Dunlop and other several mid-economy brands including the mid-range brand Fulda. Their tires are believed to have an excellent balance of dry and wet grip, thus preferred by traveling and touring drivers. These tires are not easily susceptible to wear and tear and thus are bound to last long. This German brand has an outstanding reputation all over Europe for its high-quality tires through other brand names that include Uniroyal, Barum and Viking. This company boasts amongst the best balance of wet grip and dry grip, reduced wear and excellent handling, faring better than sport cup tires by Michelin while being less expensive. Other manufacturers of car tires include Hankook, Nokian, Cooper and Yokohama. Hankook tires are known for their ultra-high and impressive performance and well-balanced grip on snow-covered and cleared roads. Cooper is known to manufacture strong truck tires and is a top rated manufacturer of all terrain tires. Nokian specially produces winter tires that can be kept in your truck or car all year. These tires are not cheap, however. Yokohama tires are characterized by a sporty flair and have an excellent wet and dry grip, good tread life for summer, and responsible handling.